Owners of distribution companies always have to be concerned about driver safety and staying in compliance with the latest regulations on how long their drivers can stay on the road. This issue has come to the forefront due to the U.S Department of Transportation Federal Motor Carrier Safety Administration (FMCSA) final rules on driver hours of service that became effective on July 1, 2013. There is now a requirement that drivers take a 30 minute rest break prior to reaching 8 hours of on duty time. Unless drivers take a 30 minute off-duty break, they will now be ineligible to drive after being on duty for 8 hours. There is no set time regarding when the break must be taken, just that once drivers hit 8 hours on-duty without one they can’t drive until this break is taken. There are also changes to the 34 hour restart requirement. Drivers are not allowed to drive after being on duty for 60 hours in a 7 day period or 70 hours in an 8 day period. The 34 hour restart allowed drivers to restart the weekly clock after being off duty for 34 consecutive hours. The restart remains in place but now drivers need to take two 1am to 5am periods off during those 34 hours in order to use the restart. The American Trucking Association had challenged the new rules in federal court but its challenge was unsuccessful in overturning the new regulations. However, the federal court did change some aspects of the new regulations. The enforcement of the first item above is what was changed by the recent court ruling. The rest break requirement will now no longer apply to “short haul” drivers. 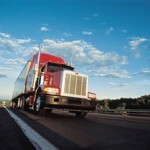 The FMCSA has classified two categories of drivers as “short haul”. 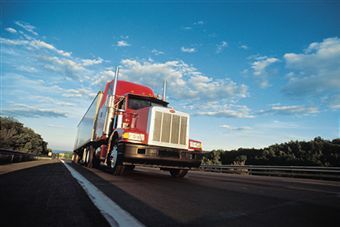 Category 1: Non-CDL drivers that operate within a 150 air mile radius of the location where the driver reports for duty and comply with other requirement for the twice a week 16 hour exception. Category 2: All drivers that operate within 100 air miles of their reporting location and meet the requirements to be exempt from keeping a log book including not more than 12 hours on-duty. The 34 hour restart requirement has had the biggest impact on the industry because companies have had to become more efficient in scheduling routes and delivery windows. As an example, a driver that finished a route on Friday afternoon and wants to use the restart, now cannot begin before 5am on Monday morning where previously the driver could start much earlier. This delay in being able to restart a route is anticipated to have a significant impact on distribution companies with a wide delivery area and may result in some companies having to hire additional drivers from an already tight driver labor market to cover their longer routes. For additional information on this topic, please see the Hours of Service Regulations on the FMCA website. Questions? Please contact your Keiter engagement team or Chris Hagen | 804.418.6276 | chagen@keitercpa.com.